Q’us is an Australian based company which was established in 2012 to supply high quality Australian jojoba oil to the exacting Japanese market. Gaining popularity in Japan, Q’us is now supplying jojoba oil to other countries. 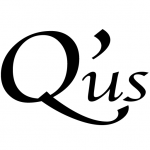 What does " Q'us " mean? The “Q” in “Q’us” stands for our main focus, which is “Quality”. The “us” stands for all of us; our customers, growers, suppliers and those of us who work at Q’us, . Q’us has an interesting speciality different from any other jojoba companies. Unlike normal jojoba companies, Q’us has a whole variety of oils. There is the simple “plain type” jojoba oil made purely from the jojoba bean, then there is the “Antibacterial type” created for eliminating bacteria from skin as well as improving it. peppermint, lemon, orange, and Bulgarian rose. We recommend choosing the ones you are interested in and discovering the ones suitable.